Astronomers last year discovered the asteroid 'Oumuamua which travelled through our solar system after arriving from another star. While the cigar-shaped asteroid passed through our solar system, scientists began theorising that asteroids could have come from far away and then stayed. Experts have still been debating the discovery, and a newer theory from experts at Harvard's Smithsonian Centre for Astrophysics, Shmuel Bialy and Abraham Loeb, said that ‘Oumuamua may have been sent by aliens to survey other galaxies. Professor Loeb told Universe Today: "We explain the excess acceleration of ‘Oumuamua away from the sun as the result of the force that the sunlight exerts on its surface. "For this force to explain measured excess acceleration, the object needs to be extremely thin, of order a fraction of a millimetre in thickness but tens of meters in size. "This makes the object lightweight for its surface area and allows it to act as a light sail. However, the astronomer who discovered the asteroid, Robert Weryk, has criticised the alien theory, calling it “wild” and “exotic. Mr Weryk told CBC's Afternoon Drive: “I think it's a remnant from another solar system. It's just something that happened to run into us, and we were very lucky to have been operating the telescope that night and looking in that direction. "It's been theoretically predicted for decades but we've never seen one. Until we see another one, there are a lot of questions that we just can't answer." Other astronomers have also criticised Prof Loeb’s theory. Alan Fitzsimmons, an astrophysicist at Queens University, Belfast, recently said: "Like most scientists, I would love there to be convincing evidence of alien life, but this isn't it. “It has already been shown that its observed characteristics are consistent with a comet-like body ejected from another star system. "And some of the arguments in this study are based on numbers with large uncertainties." Katie Mack, an astrophysicist at North Carolina State, also had an issue with the theory. 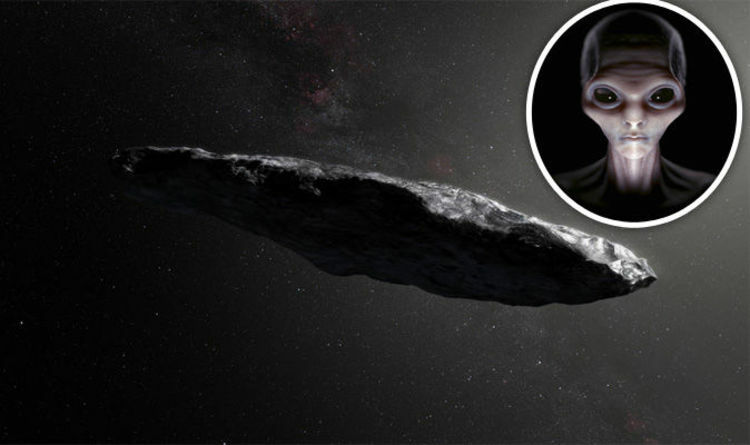 The bizarre cigar-shaped space rock is believed to have been wandering among the stars for hundreds of millions of years and it is the first foreign object to be spotted in our solar system. ‘Oumuamua is about 400 metres long and is a dark red colour and was spotted by the Pan-STARRS1 telescope in Hawaii on October 19, 2017, travelling at about 95,000 kilometres per hour.